Huddersfield are 11/8 with Steve Mounie at 5/1 to score first. 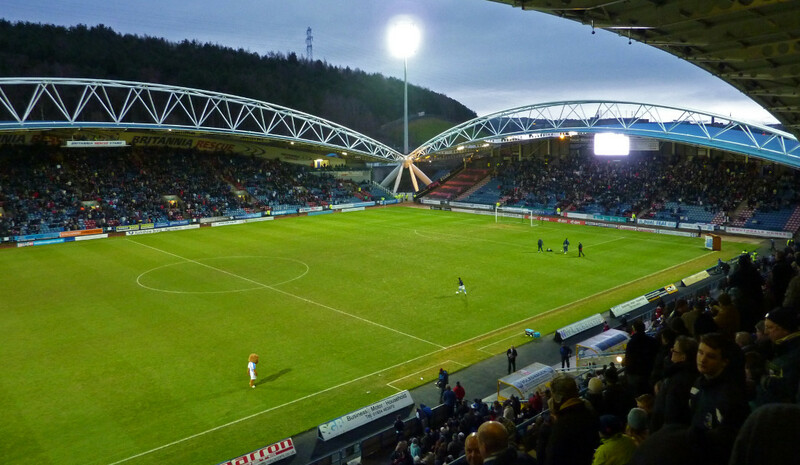 Huddersfield face Newcastle at the John Smith's Stadium on Sunday afternoon, in the second round of games in the Premier League. The Terriers come into this match on the back of an incredible Premier League debut, beating Crystal Palace 3-0 away. Joel Ward gave Huddersfield their first goal in the Premier League, with the Palace defender putting it into his own net (23). Steve Mounie made it 2-0 just three minutes later (26), with Palace really struggling with Huddersfield's high pressing style. Mounie scored his second and Palace's third late on (78), with a fine finish to cap off an excellent opening match. Huddersfield had a great campaign last season, with the Terriers promoted via the play off route. They were the most impressive side on the opening day of the Premier League season, they currently sit second in the table. David Wagner was a revelation in his first season, with the Germans infectious management style working emphatically. They have made some excellent signings, and their high pressing game appears to be ideally suited to the Premier League. David Wagner's side come into this match as favorites, with home advantage informing the bookies. This will be a tough match for Huddersfield, with Newcastle looking for their first points of the season. Huddersfield will be looking to better the result from last season, where they lost 3-1 at home against the Magpies. The Magpies come into this match in mixed form, despite losing 2-0 against Tottenham last weekend. Newcastle captain Jonjo Shelvey had a moment of madness in the 48th minute, stamping on Dele Alli in front of the referee. His sending off completely changed the game, with Newcastle competing with Tottenham up until that point. Dele Alli opened the scoring for Spurs (61), rubbing salt in the wounds of both Shelvey and the Magpies. Ben Davies capped a fine performance and a start with Tottenham's second (70), sealing all three points for Spurs. It will be a tough season for Rafa Benitez, with the club being promoted as Champions from the Championship. They have yet to make any flagship signings but they had a very strong squad in the Championship. Mike Ashley's interview has caused controversy, with the Magpies owner saying Newcastle will have to live within their means. That moment of madness from Shelvey will have angered Benitez, especially as his side were well in the game at the stage. Newcastle come into this match as underdogs, with David Wagner's side overwhelming favourites for this match. Rafa Benitez will be looking to kick start Newcastle's Premier League campaign, with Huddersfield an ideal opponent. The Magpies will be looking to make it back to back wins against the Terriers at the John Smith's Stadium. Newcastle are 2/1 with Dwight Gayle at 6/1 to open the scoring.